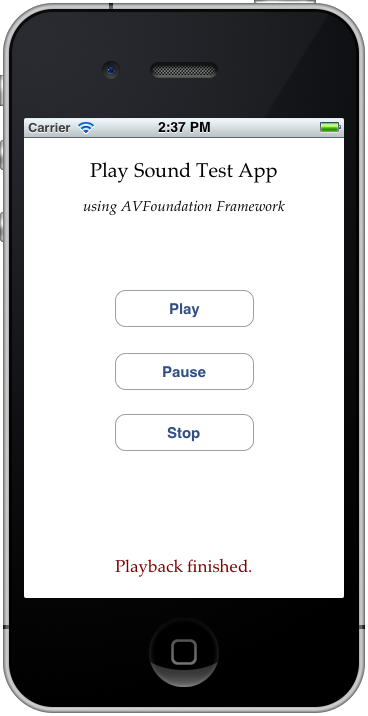 The topic of this tutorial is about the AVFoundation framework, which is a powerful set of tools that let programmers to work with both audio and video related tasks. In here, I’ll make a small introduction on how to play audio files using the framework, which is the most common task for the majority of the developers. No need to explain what these buttons are going to do with our audio file. Additionally, we’ll have a label which is going to inform us about the status of the playback. So, let’s go to see how to play, pause and stop (and replay) an audio file. In the project I use an audio file (mp3 format) downloaded from the Internet. 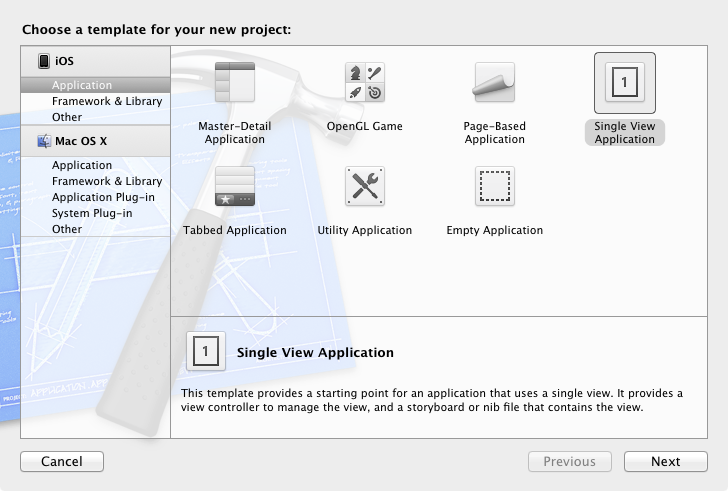 This file is going to reside inside the application bundle. You may use your own sound files, download any if you want (there are plenty sites out there with free sounds), or use mine. See the links at the end of the post or go directly to the Downloads area to get it. 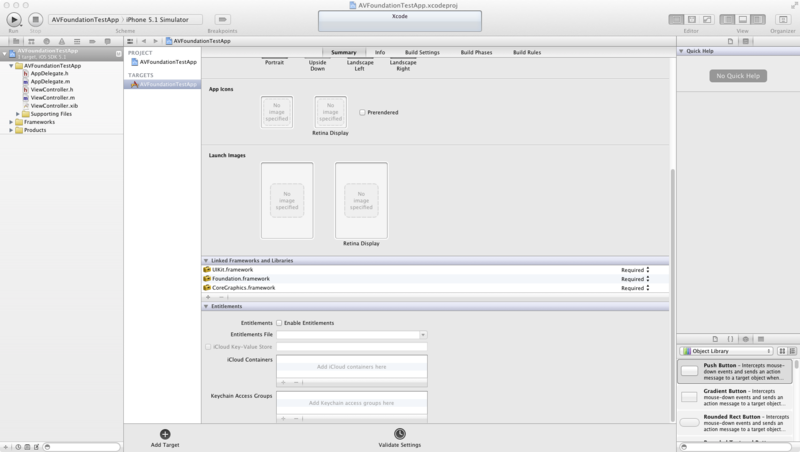 The sample project was created for iOS 5.1 using XCode 4.3. In the next window set the project’s name. 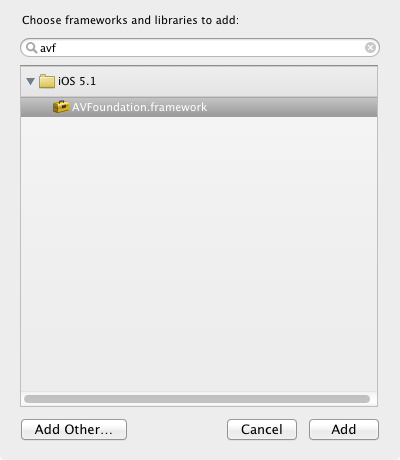 I named mine AVFoundationTestApp. Feel free to specify the name you wish. Finally, set the directory in which your project will be saved and you are ready. Inside the new small window type the first letters of the AVFoundation word (for example “avf”) and you’ll see it appearing in front of you. Select it and then click on the Add button. After that you’ll notice that the new framework has been added into the project. 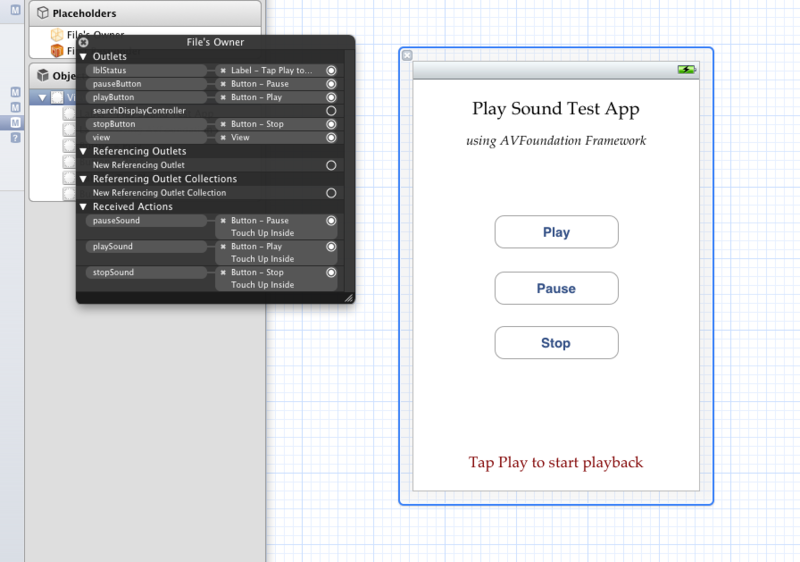 Now that we have the interface ready, it’s time to create the outlets and any other objects necessary to our project. // Declare the necessary outlets. // Declare an object for the audio player. // Declare the IBAction methods. 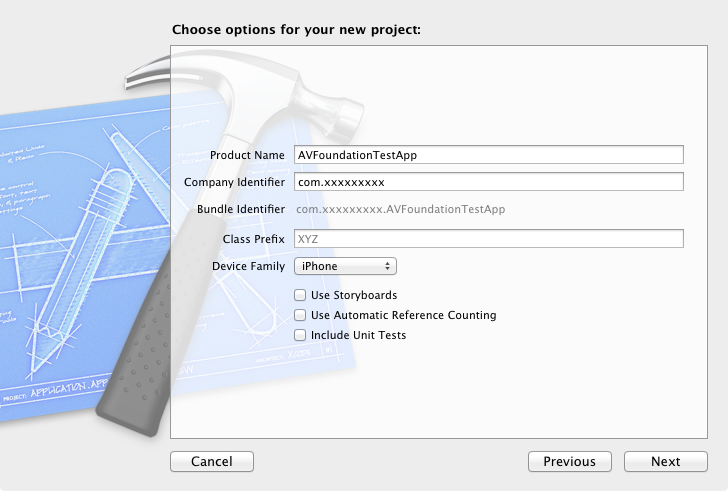 What we’ve done here was to import the AVFoundation library and to declare the outlets for the three buttons and the label that we’ll use to make the connections into the Interface Builder. We also declared another object of type AVAudioPlayer, the most important in this project, which is going to be our audio player. You may also drag each button and the label into the .h file and everything will be created automatically. Note the AVAudioPlayerDelegate at the interface header. We’ll discuss about it later. Enough with the .h file. Let’s go to implementation. // Synthesize all the objects we declared in the .h file. If the dealloc method doesn’t exist, create it and release the objects. 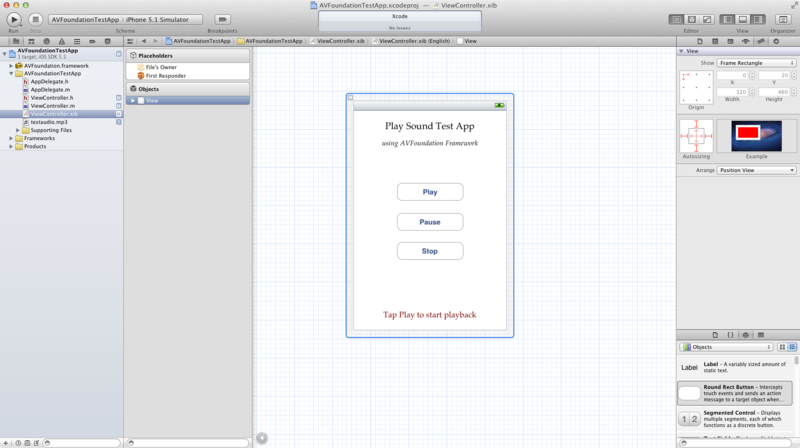 The player object is the one that will play the audio file. Before playing though, it should be loaded with the audio file. 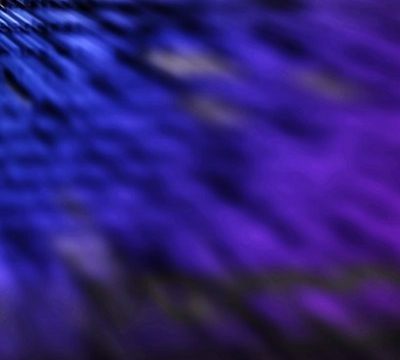 That can happen by allocating the player and using the initWithContentsOfUrl:error: method, which means that the path to the file should be expressed as a NSURL object. There is the option either to pre-load the audio into the player’s buffer and just play it when you want, or play it without pre-loading it. The way you choose depends on your needs. If you have just one sound that you wish to playback, it’s preferable to pre-load it. But if you want to playback several sounds (for example, sound effects in a small game) then you may wish not to pre-load them but playing them instantly. In this example I’ll show you mainly the first way, how to playback by pre-loading the audio to the buffer, but I’ll also show you how to instantly playback a file when tapping on the Play button at the end of the tutorial. You may avoid all the code below and init the player into the Play IBAction method. The following exists to demonstrate how to preload the audio into the buffer of the player. // The AV Audio Player needs a URL to the file that will be played to be specified. // So, we're going to set the audio file's path and then convert it to a URL. // Init the audio player. // Check out what's wrong in case that the player doesn't init. // as it's not always possible to pre-load the audio. // Release the resources used previously. We could have avoided the error object by setting the error parameter to nil, but it’s good to have it in case any error may occur. Next, if any error occurs, is shown to the debugger, otherwise we perform the second most important thing here, we pre-load the audio by calling the prepareToPlay method of the player object. Also, we release the pathAsURL object we used, as we no longer need it. Finally, another important task we do here is to set the delegate of the player object. We need it if we want to keep track of audio-related operations, such as when the playback has finished. Actually, that’s exactly what we are going to do in this example, we are going to know when the playback is finished, so we will update the status label. 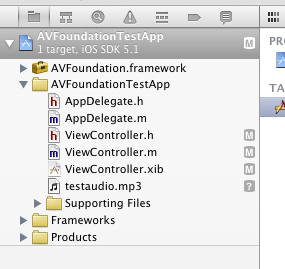 That’s also the reason we declared the in the ViewController.h file. As you can see, the player begins to playback simply by calling the play method of the player object. You might expect the stop method that’s been called inside the pauseSound to stop the player, but it doesn’t. It actually just pauses it, which means that the playback is interrupted but if you tap on the Play button again, it will continue playing from the point it was left last time. How do we stop the player? The difference between the last two methods is the setCurrentTime method of the player object. By setting the time of the audio to 0.0, we force the player to start over again when we tap on the Play button. Also note that in every method, we update the text of the status label. It’s always good to know when the player has finished playing. In this example, we need this information as we would like to update the text of the status label and show a message telling us that the playback is finished. At this point, we don’t need anything else. Now, we are ready to try our example. Run the project in the Simulator and admire the great results! // If everything is fine, just play. Note this: Every time you tap on the Play button the playback starts over, as the audio file is loaded again and again from the beginning into the player. So, in this case don’t expect the pause button to work, as it used to work in the previous case. Anyway, it’s up to you and your app’s needs to decide how you’d like to load the audio file. Download the test audio file here.